Home » Blog » Price matching is everywhere but will it be the make or break of retailers? I have always been sceptical of sales promotions but John Lewis’s ‘never knowingly undersold’ has increased sales even if at the cost of profit. However, for large retailers market share is almost as important. I was reading about the latest Tesco promotion over a latte on Sunday morning post falling off a climbing frame playing Spider Pig but that’s another blog! Anyway, from this week Tesco is now price matching at the till and FLASH, I had a eureka moment. How could I use this tried and tested formula in the event world? Do event organisers care about price matching? Firstly, do event organisers care about price matching? We decided to engage with our loyal followers on Twitter and created a small poll. After only 3 days, it seems a yes! 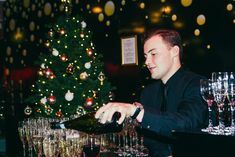 This thinking is running through to our world too with buyers wanting to get the best price for their event, and surprisingly discounts are further down the list. I guess people just don’t trust discounts any more, after all a lesser price must mean a lesser service right? Who should we price match against? 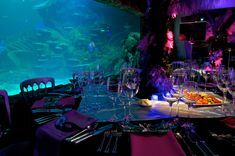 We’ll match the price of any event at Madame Tussauds London and SEA LIFE London Aquarium, like for like, with the four London venues shown above. As to how frequently we will be offering this is yet to be seen, but it is something to make you sit up and see how much I believe in our pricing and packages. See, it is not only Tesco and Sainsbury’s who can be dynamic. So what do you say to that? Is it a cynical ploy to win business or a clever way to ensure clients get the best price? NB Please note this offer is not valid on Wednesdays or Thursdays nor for any date in December. Editor's note: This blog was originally published on 29 September 2011, and updated 19 October 2017.